How important is Remote Medical Training? Sure, you have a copy of “Where There Is No Doctor.” Or maybe you have the “Yellow Book” downloaded to your iPhone (because you may not have internet service to look it up when you need it most). Or maybe you’ve led teams of volunteers for a charitable non-profit for years and years without major incident, just like I did. You did your due diligence and got good emergency medical insurance for international travel. Maybe you’ve even needed to make an emergency call or use your emergency medical coverage/insurance while overseas and they came to the rescue in the past. That’s so important. It is exactly why we do what we do. Another alternative would be to consider remote medical awareness emergency training so that you or a staff member is ready in case of emergency. To save a life. To ease suffering and stabilize someone before first-responders can be on the scene. What is Remote Medical Awareness? 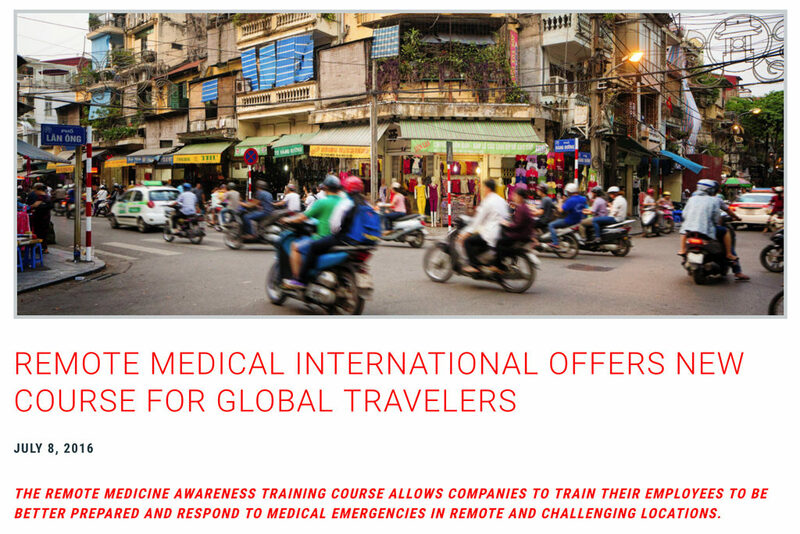 Remote Medical International offers a series of courses (RMAT) designed to teach you introductory medical skills up to full International EMT training to those who are planning to travel to high risk and remote locations worldwide. There are no prerequisites and you can even receive certification for two years as an international EMT from them. 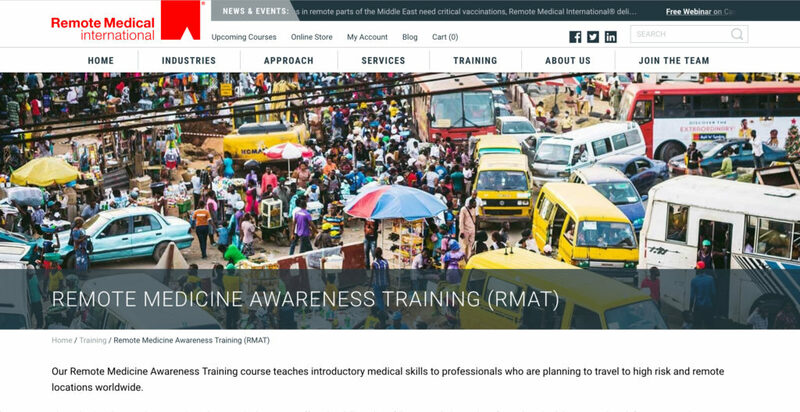 RMAT courses are “hands-on” and “scenario-based,” offering you the skills and the confidence needed to make informed medical decisions when definitive care is hours away. RMI courses include short lectures, interactive labs, and realistic practice scenarios that helps you master the central concepts of remote medicine. And to effectively respond in an emergency as necessary. We think that is pretty important preparation for short-term teams and team leaders, field directors, and even long-term staff overseas and adventure sports tour operators. Students learn pre-trip planning skills and how to assess a scene, suppress threats, lift and move patients, and understand the difference between high-risk and conventional medicine. It also covers how to manage head injuries, spinal injuries, basic airway blockages, basic wounds, mass casualty incidents, motor vehicle accidents, and more. Remote Medical International has provided remote and wilderness medical training to over 17,000 students worldwide and their training courses range from Basic First Aid to an advanced Remote Medicine for the Advanced Provider course for medical professionals. RMI certifications are accredited, respected, and accepted by a wide range of military, commercial, and non-governmental organizations.